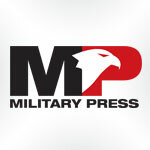 The Military Press is the largest military news, sports and entertainment tabloid in California, with a distribution network that reaches over 200,000 military personnel every two weeks. WE REACH OUR ENTIRE MARKET ON OR THE DAY BEFORE PAYDAY! The Military Press is a direct pipeline to all branches of the military in California — Navy, Marines, Army, Air Force and Reserves. A bi-monthly publication distributed FREE to all military. The Military Press reaches all bases, in-port ships, key housing areas and VA Hospitals. We have newsracks in civilian high-traffic areas as well. 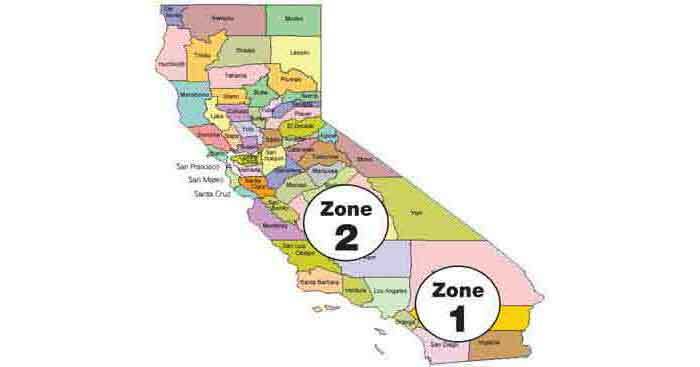 We divide California into zones for distribution. Zone 1 is San Diego, with a distribution of 50,000. Zone 2 is Riverside / San Bernardino, Los Angeles and Long Beach with a distribution of 25,000. The Military Press headlines Military News, VA information, Sports, Music and Entertainment. Other sections include Health & Fitness, Seniors, Concert Connection, and a huge classified section. We also have special promotions throughout the year, such as Air Show editions, Coloring Contests, Combined Federal Campaign, and various holiday issues. We have a very diverse readership that includes military and civilians. We offer our readers entertainment and information in one publication. We showcase advertisers that we feel respect and appreciate the military market and have a good service or product to offer at a fair price. The Military Press knows that when making purchases, timing is extremely important. That makes the timing of advertising just as important. That is why we deliver our papers on or the day before military paydays. This is normally the 14th day and the last day of the month. As with all consumers, when they have money in their pockets, they look for ways to spend it. To advertise a special discount or event on weeks when the military have no paychecks might not be so effective. Since the military is paid only twice a month, we make sure our papers are out there when they need them-and will use them. Guaranteed Positioning Add 20% to earned rate only. 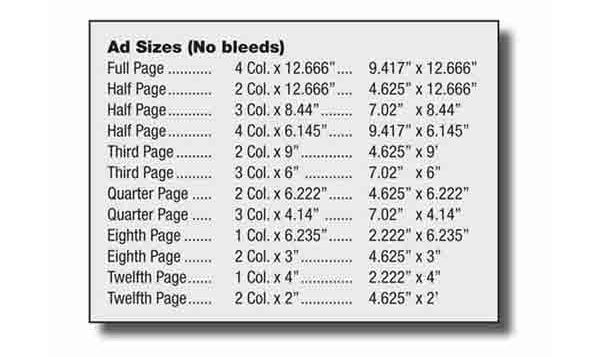 1/4 page & up, if available. Inserts $50/M, single sheet, prepaid. (Rate can vary depending on size and weight.) Client provides finished product for insertion. Agencies Recognized Advertising Agencies, please call for commissionable rate card. Credit and Payment Policy All advertising is accepted on a cash-with-copy basis unless an approved credit application is on file. All invoices not paid within 30 days will be charged interest at the rate of 11/2% per month, and forfeit any discounts and / or commissions. Liabilities Advertising not cancelled by advertiser within 72 hours prior to publication will be charged for said advertising space whether ad appears in space or not. Correction of ads or proofs must be completed by advertiser by deadline dates or ad will run “as is” and accounts will be billed accordingly. Ads received the wrong size will be rebuilt to size. Publishers reserves the right to reject any advertising. Advertiser agrees to accept all liabilities resulting from the content of their ad. Military Press’ liability for errors or omissions in advertising copy shall not exceed the amount of charges for the copy omitted or the space occupied by the error, nor shall errors of omissions cancel obligation for payment. Claims for correctness must be made within 3 days from publication. Advertiser will receive appropriate make-good credit once the cost of the error or omission has been determined. 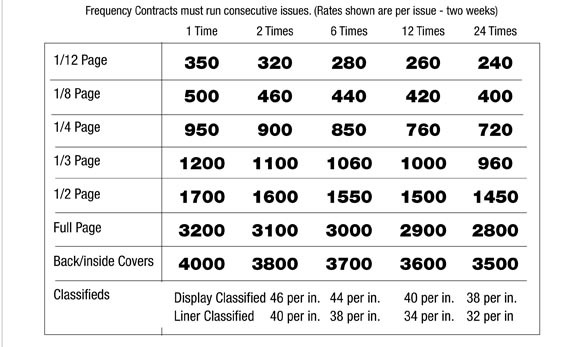 Frequency Contracts Any frequency contract cancelled before its completion will be prorated based on the rate of total times actually run. Ad Submissions High resolution .pdf, .eps, or .jpg files with fonts and high resolution images embedded, if applicable. Graphics charge may apply for files that don’t meet specificaitons or require significant additional manipulation (e.g. color correcting, resizing). Uploading Ads E-mail to advertising@militarypress.com. Email us or call 800-369-9606 for more information.